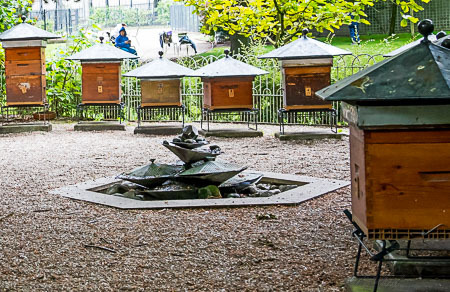 Some of the luckiest bees in the world make their residence in Paris’ exquisite Jardin du Luxembourg. Their homes (bee boxes), some of the most beautiful I’ve ever seen, are nestled in a corner of the Luxembourg gardens conveniently close to the meticulously cared-for fruit orchard. The bees pollinate these trees, many of which are named after senators, because the gardens surround Luxembourg Palace are currently home to the French senate, although the palace was originally built to serve as the royal residence of regent Marie de Medicis, mother of Louis XIII of France. With such a zen spot to buzz around, an abundance of organically grown flowers and fruit trees (Paris is a pesticide-free zone), it’s no wonder these Parisian bees are extraordinarily healthy. 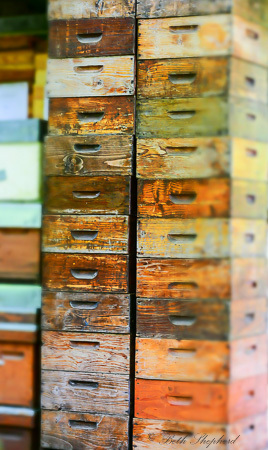 There have been no signs of the well-publicized “colony collapse” plaguing bees around the world. In the U.S. most commercial apiaries replace their queen at least once a year, whereas the queen bee of the Luxembourg Gardens lasts for 2-3 years! 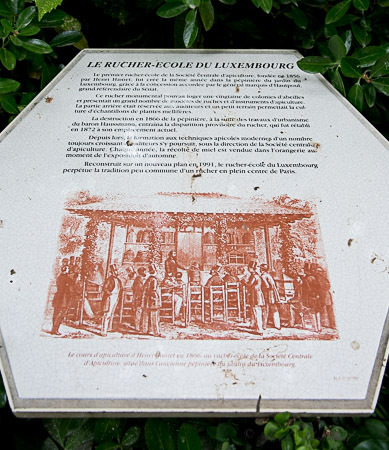 Jardin du Luxembourg has also been home to a beekeeping school, a permanent fixture in the garden since 1856, the same year the nursery was es when it was founded by Henri Hamet. In 1866, the garden was destroyed (along with much of the city) when Baron Hausmann commenced with his massive renovation of Paris. It was restored to its current location in 1872. The current school, Rucher Ecole, is led by Jean Pauchon, who learned bees could thrive in Paris after temporarily storing a hive on the roof of the Opera House twenty years ago, where they collected an abundance of pollen to make honey. 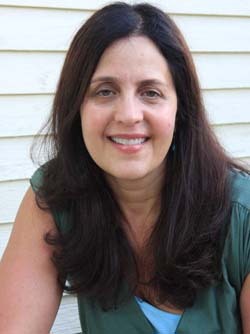 Pauchon’s classes include a beekeeping outfit (with a netted hat) and a smoker. Once a year, the honey harvest is sold at the honey festival, Fête du Miel, which takes place in September. 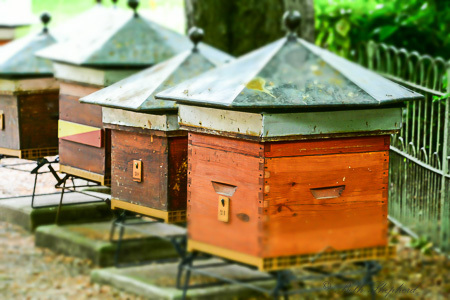 If you visit, you’ll see a collection of gorgeous antique wood bee boxes, however the bees have moved to more contemporary housing, populating hives with copper roofs surrounding the gazebo. The bees even have their own personal (artistically designed) fountain, a necessity for their water consumption. 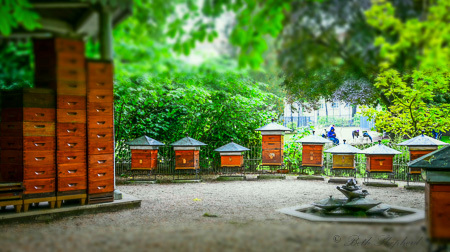 If you’re in Paris and want to check out the bees, or Jardin du Luxembourg–one of Paris’s most lovely gardens–you can, find the bees happily buzzing in their apiary near the rue de Fleuris entrance in the southwest corner of the park.